Did you know that terrariums are really costly? That said, when Masons Home Decor offered me a DIY Terrarium Kit, I thought why not. Maybe, I can start making my own going forward, just in time for our new home (if it happens this year!). 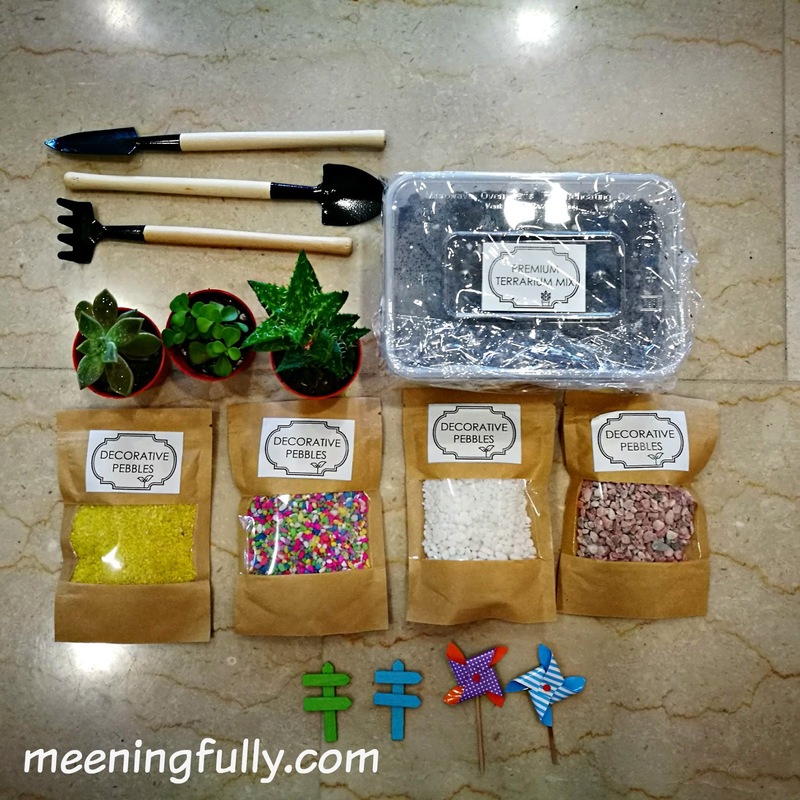 But...it is through this activity, I realised why terrariums cost so much, and rightly so and that's because making them is an art which requires a good deal of patience and precision! 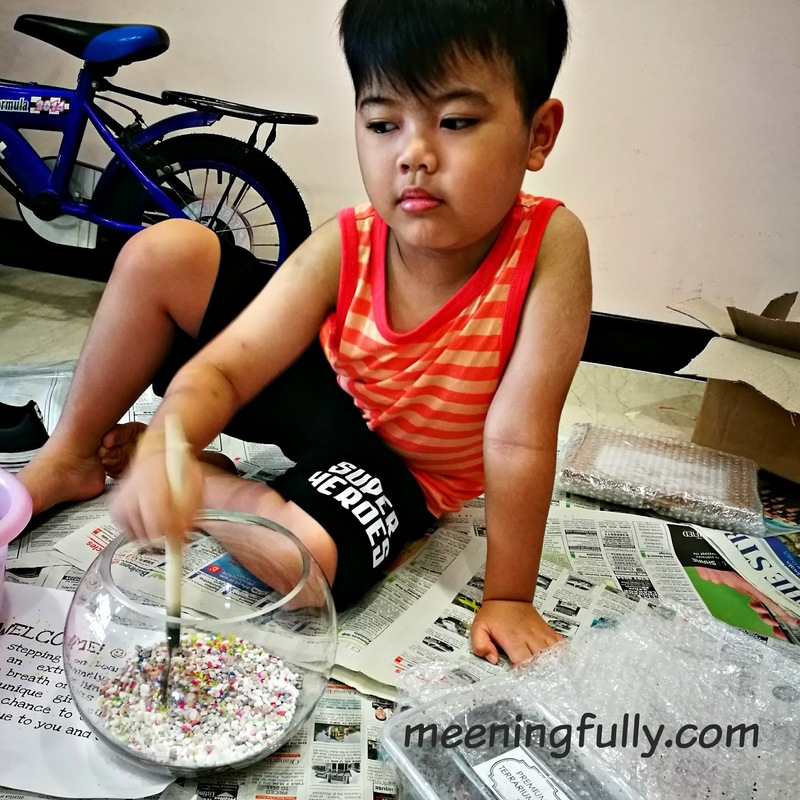 This boy, in his excitement to start poured the coloured pebbles in before the soil and mixed them all up. So we ended up with no pebbles after that! LOL! J and I had good fun working on the pack and here's 3 reasons why we will not hesitate to do this again although it's a huge big mess! J and I worked on the terrariums on a Saturday morning and that took us close to 2 hours to complete. We had to split our tasks where I helped to place the plants in the glass bowls while J shovelled in the soil. Then it was back to me tidy them up while he placed in the decorations. Such great team work! Trying to fit these fragile plants into such a small space and making sure they end up looking pretty not only requires patience, but also a creative mind. 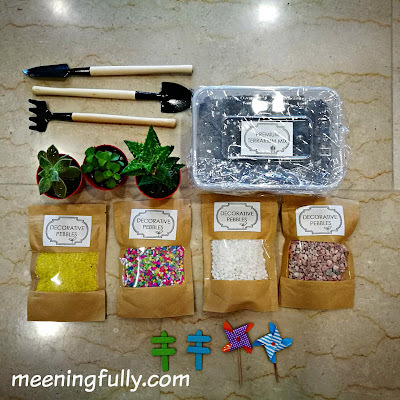 When we got the kit, J's teachers have also asked for us to give J a small plant as they were teaching the kids how to care for living things. 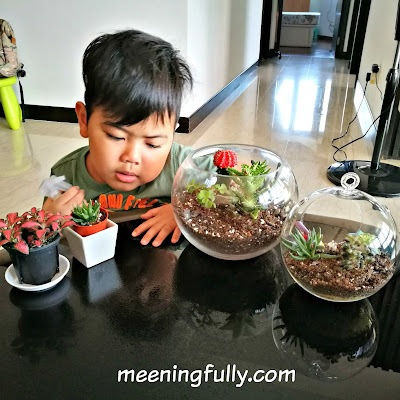 So, with the terrariums which we put together on our own, J has been put in charge of making sure they are watered daily. He took to his task very well! We definitely had fun working of these terrariums and we really thank Masons Home Decor for sending them our way. If you are up for working on one of these, DIY Terrarium Kits can be purchased online from Masons, and they also have kits that's catered for kids as well. 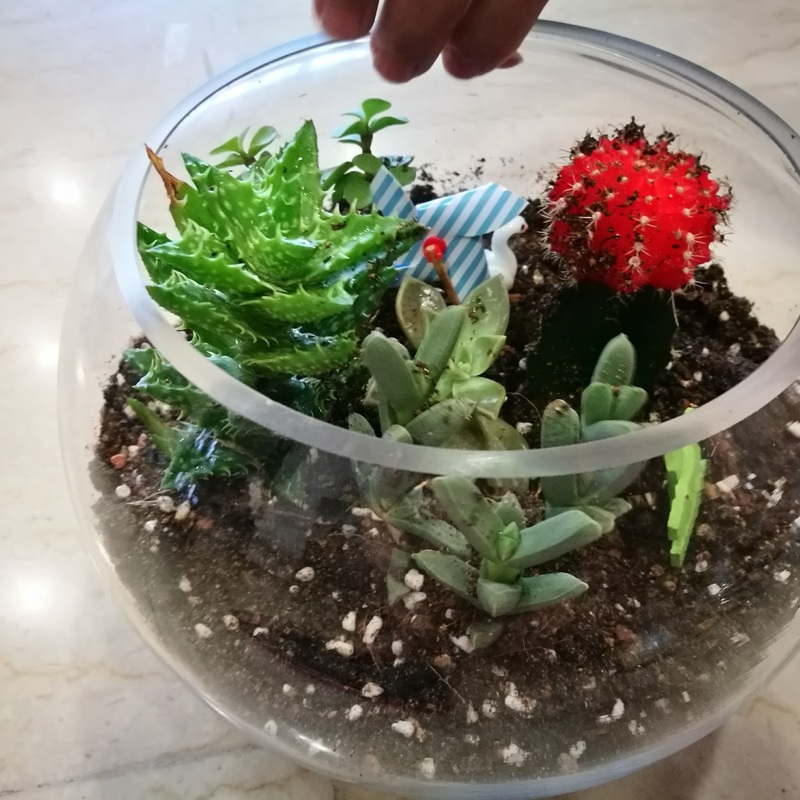 Not to worry if you haven't got green fingers like me, they also have a whole range of plants, whether terrariums or much simpler potted plants, you should be able to find something that will add a bit more life to any living or even work space. Interestingly, Masons also carry a range of home decoration products that will spruce up your homes. So do hop over to Masons to see what they can offer. The good new here is, all readers can use the quote below when you purchase anything and get a 15% off.